Running Your Cadetship, Supporting your Cadets. Let us deliver new success in running your Cadetship programme. For over 30 years Chiltern has been working closely in partnership with Maritime Charities and Maritime Companies to administer their Deck, Engineering and Electro-Technical Officer Cadetship schemes and mentoring their Cadets. We have also built up a superb relationship with other shipping companies and ship owners to secure incredibly valuable sea time for our Cadets, putting our partner’s Cadets at the head of the pack as graduates trained with the already diverse skills required to start a career at sea or ashore in the maritime industry. Similarly, each year we start new relationships with ship owners willing to offer on-board berths to our Cadets as trainees, giving them the experience many of their existing officers experiences, or in most cases, from feedback, a far superior level of experience. 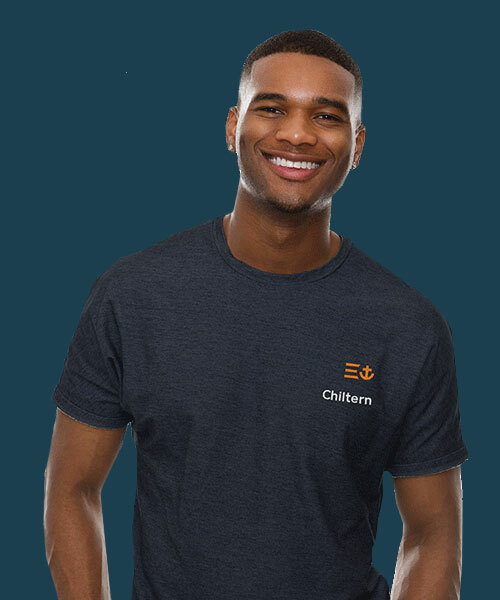 If you wish to sponsor a Cadet or have a Cadetship programme you feel we could better administer, Chiltern Maritime can act as programme or Cadet manager, help them start their course and take them through to qualification. Run on your behalf, our programmes are phased between attending a highly reputable college and gaining sea experience onboard a ship. Sponsors provide the Deck, Engineering and Electro-technical Officer Cadets a bursary whilst under training, both at sea and during their college phases, to complete their academic qualification and also gain their Officer of the Watch certification. For our commercial maritime partners, their Cadet(s) will return to them upon graduation as well prepared as possible and with excellent experience already behind them. For our charity partners, their Cadets are free to work in any sector of the industry, however, most Cadets go on to work for one of the shipping companies who offered them sea time during their training; therefore, the sea time is seen as beneficial to the Cadet and the owner. We therefore welcome open discussions with ship owners and shipping agents on how we can work together to secure the sea time requirements that will allow these trainees the exposure to a range of ships during their sea training phases. The uniqueness of this partnership is that there are no costs incurred by the ship-owner by offering time onboard their vessels. All costs involved in the cadets joining/leaving the ship, uniform requirements, bursaries, college and management fees are covered by the Maritime Charity or Maritime Company Sponsor.